Before Scandal premiered on ABC anticipation and intrigue was steadily increasing for the show. Scandal is about Olivia Pope, a high-powered former White House Communications Director for the President who has become known for cleaning up messes in the capital. With its new spin on an old political concept many believe that the show could serve as the next breakout hit for the network since Desperate Housewives, Lost, and Grey’s Anatomy. After digesting the first two episodes there is much for ABC and viewers to be hopeful about. Aside from the fact that I had given up reality T.V. for Lent (now I’m only watching positive reality shows) this was another avenue for my people of color and sisters to thrive. The show not only stars the extremely talented actress Kerry Washington but it also features the blossoming Columbus Short as a supporting actor and is executive produced by the acclaimed Shonda Grimes, best known for producing Greys Anatomy. Grimes partnered with crisis manager Judy Smith whom the main character is based upon. Smith has managed crisis with Monica Lewinsky, Michael Vick, Water Gate, and The BP Oil Spill. In rare form the on-screen characters fit the description of those behind the scenes as well. This could result in a more accurate portrayal of who Olivia Pope is supposed to represent. Kerry Washington is the first African-American woman to be a lead character on the ABC network in over 30 years. These type of statistics increased pressure for the need of positive reception to the series. After cautiously watching the premiere I became immediately hooked. My initial fear had been that I would only like the show in strong part do to my need to support anything related to me but surprisingly the show was a more fulfilling drama than I was expecting. It had all the components necessary to pull you in and all the signatures of Shonda Grimes. Great actors, each with very different personalities adding dimensions to the show, interesting story lines with issues related to the american public today, plot twists and turns, episode long stories as well as seasonal ones, and a connection to each character. Most law or political shows such as the phenomenal Law and Order or West Wing provide you with all the juice from the individuals you’re introduced to on that particular episode. Scandal is already building the back story for some of the main character and supporting cast. The characters are “gladiators in suits” and tough as nails but they have pasts and emotional baggage too that we as viewer are all to interested in finding out more about. Most of all this makes them seem more human. In the middle of the zest, cliff hangers, and secret motives you can get emotional. 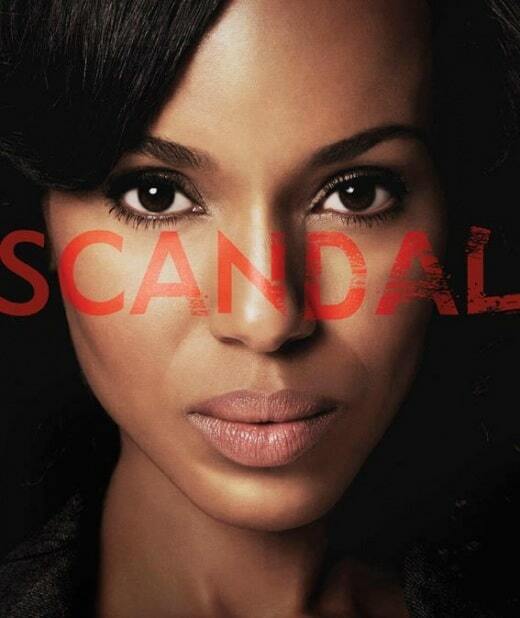 Scandal draws you in like a good book and that is what you can always count on from a Shonda Grimes production. So in the mist of finding another reason to hold my head high as an African-American women I discovered great television something we often lose sight of over analyzing and making bringing attention to race when the series has the potential to cross generational bounds. No matter your race ethnicity or gender Scandal just makes for good television.